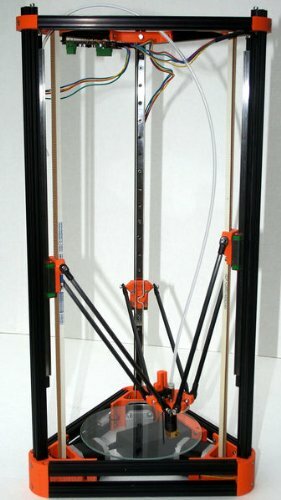 Mini Kossel 3D Printer Kit is a parametric delta robot 3D printer, built in 2012 by Johann in Seattle, USA, based on his Rostock prototype. It is named after Albrecht Kossel, German biochemist and pioneer in the study of genetics. He was awarded the Nobel Prize for Physiology or Medicine in 1910 for his work in determining the chemical composition of nucleic acids, the genetic substance of biological cells. Mini Kossel This is Johann’s latest and stable version. Prusa i3 Full DIY Package – Everything you need in ONE box! Mini Kossel Full DIY Package – Everything you need in ONE box! Prusa Mendel I2 Full DIY Package – Everything you need in ONE box! MakerGeeks Online ABS Filament has a low shrinkage quality and nearly NO smell which is pretty awesome if you are used to using other brands of ABS Filament in your 3D Printer. At MakerGeeks Online we guarantee Dimensional accuracy ± 0.1mm with laser monitor and interlock device so you can rest assured that you’ll have a smooth surface with no bumps, no breaks and no oval or out of round spots. Give us a try and I believe you’ll see great results – you have my word on that! 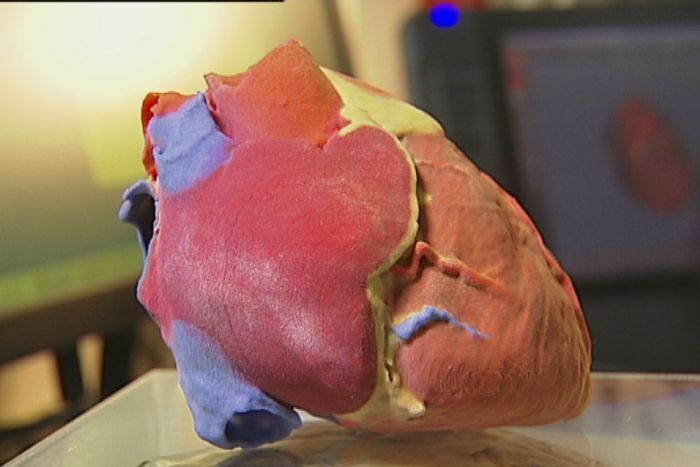 A team of medical experts in Melbourne has created a 3D-printed anatomy kit that is set to revolutionise medical training around the world. The printed body parts which look almost exactly the same as the real thing can be used to replace difficult to get and expensive cadavers that are crucial for training doctors. On display, the rows of body parts paint a macabre picture – but these hands, feet, brains and hearts are not the real thing – they’re 3D-printed copies. Professor Paul McMenamin, from Monash University in Melbourne, hopes the anatomy kits will change the future of medical education. “Not everyone has the luxury of having access to real cadavers specimens because of all the problems of handling cadavers, storing cadavers and using them over and over again for teaching purposes,” Professor McMenamin said. Professor McMenamin runs the Centre for Human Anatomy Education at the university. 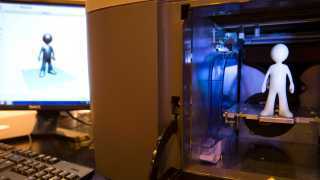 He says the initial process isn’t easy: it requires multiple CT scans of a real body part and then up to 12 hours of printing. Once that’s done, copies are just a click away. “If you dropped that and it broke you just order another one and we press print,” Professor McMenamin said. The printed body parts are falsely coloured to help students distinguish between the different parts of the anatomy including the ligaments, muscles and blood vessels. The real specimens gradually lose their colour the longer they are kept. It’s a huge breakthrough particularly for hospitals in developing countries that can’t afford cadavers and for many Middle Eastern countries where accessing them is difficult due to religious reasons. “There are exceptions for medical schools in that part of the world and they do allow some dissection to occur in medical schools but it’s not without its problems and cultural difficulties,” Professor McMenamin said. “Then they’ve got to get people to donate their bodies and it’s that bequest program, how do you get a group of people who religiously believe a body should be not desecrated or touched, to donate their bodies? Yousef Sadeghi is a Professor of Neuroanatomy at the Shahid Beheshti University of Medical Sciences in Iran. He believes the 3D printed anatomy series will be a vital tool for teachers, particularly in Muslim countries. “That can be very useful for the teaching of anatomy, especially for the universities in our area, like the Middle East,” Professor Sadeghi said. The Monash team is hoping to have the 3D-printed anatomy kits available for sale within six to nine months. Medical schools and hospitals around the world will be able to buy just an arm or a foot, or the entire body in a box. 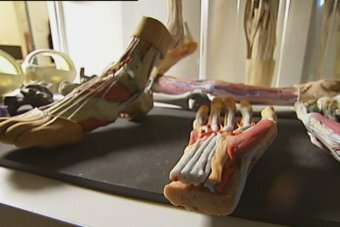 “Not everyone wants every part of the body, you know if you were running a podiatry school you might just want a collection of feet dissected like this and 3D printed or hand therapists might just want copies of our 3D printed hands,” Professor Paul McMenamin said. The kits are thought to be the first commercially available resource of its kind. And Professor McMenamin and his team are not stopping there, they’re already working on a way of using 3-D printing technology to teach surgery. “The skin would have the compliance of real skin, the muscles would feel like real muscles, the tendons would feel like real tendons and then we could create a surgical training tool which could be used over and over again instead of surgeons having to learn by using real patients,” he said. And he says the technology is closer than you think. 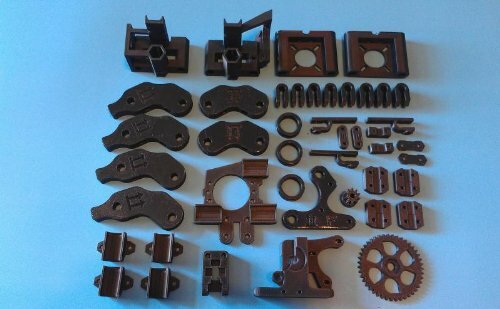 If you’d rather source your own 3D printer, these parts will be a great start. The printed plastic parts in this set are equal to or superior to those found in the Prusa 2 set of parts at GitHub. Even though you’re not buying our complete kit, we still want you to succeed.